Upper lip lift surgery, also known as lip lift is performed to the patients who are particularly not happy with the length of the distance between their nose and upper lip. This procedure can reshape and revitalize thin or ageing lips, where it leads to a more aesthetically pleasing facial line. Lip lift procedure is also preferred by people who would like to look more feminine by increasing the upper lift slightly and make the teeth more visible. In medical terms, the upper lip is considered as the area between the base of the columella (lower end of the nose) and the line of the upper lip. Although it may vary due to person’s other facial features, the ideal range between the nose and upper lip is 12-15 millimetres. An upper lip exceeded this measurement could be seen as an irregularly long. Lip lift procedure is done under local anaesthesia, where the excess skin is removed just under the nose. 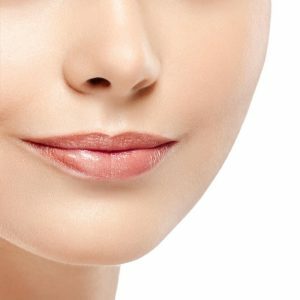 There are some popular techniques available, where we only perform the superior “subnasale lip lift technique” in Essi Cosmetic Surgery to minimize the incision mark. The whole procedure takes between 30 to 60 minutes. In this lip lift technique, the incision is made just under the nose, which is called subnasale upper lift (sub*below, nasale*nose). Once the excess skin is removed after incision, the upper lift is lifted by using suture. When the sutures are placed well, the skin edges would be adjusted to hide the incision as soon as possible. The recovery after subnasale lip lift surgery takes around 7 days. The incision mark will be visible and red in the first week but makeup can be applied after this to camouflage. We expect to see a moderate amount of swelling in the first 2-3 days, where we advise our patients to use cold compress over the upper lip area, while the pain management is done by low dose painkillers. We advise our patients to sleep with extra pillows for the first week. In most of the cases, absorbable sutures are used, so there is no need for removal of suture, however, your surgeon would be deciding this. The final result will be evident at 2 to 4 weeks. If the upper lip area (between the nose and upper lip) is over 18 mm, we advise our patients to undergo this procedure. If it is less, you can still do it, however the difference may be very small to recognize. Essi Cosmetic Surgery is based in London, which makes us the unique company among of those who offer cosmetic surgeries abroad. Along with the excellent service quality and access to the most experienced surgeons and medical teams, we provide trust and confidence to our clients by being able to help them pre and post operation through our London office. Our clients feels at safe hands because we care for them and follow up their post operation closely. If you're also thinking to have lip lift procedure with us, please see the guideline for your cosmetic surgery journey below. First, we always advise our patients to do research and know all aspects of the operation. Then, if you're willing to have a consultation, we advise you to fill our online consultation form with details. Once we receive your online consultation form, our patient care coordinator will call and meet with you in person, if you have questions, he/she will be answering them. Then our patient care coordinator will send you a link of medical questionnaire to be forwarded to the surgeon, this is a form designed for cosmetic surgeries and will help our surgeons to assess your case with details. After you receive your report, if you decide to undertake your cosmetic surgery with us, we’ll book a date available for you. If you need further information or explanation about your report, don’t forget that we’ve our office in London so that you have the opportunity to visit us or call us on our free toll 0800 069 8259 to discuss about your personal recommendation report. Once you've transferred the booking deposit of 20% of the total amount, we confirm the final booking and we suggest you to book your flight tickets to given date interval. The rest of the total payment should be transferred to our bank account before your journey starts. You should land to the city you picked at least 1 day before the surgery date. We will pick you up from the airport to the clinic for the medical examination with your surgeon where you’ll be given all necessary information regarding what you’ll experience in next few days. You'll also be given a leaflet explaining all steps of your cosmetic surgery and afterwards. Then your patient care assistant and driver will take you to your hotel. On the day of the surgery, we’ll pick you up from your hotel to the hospital. Your surgery will be performed by your surgeon as explained you previous day. Once the procedure is finished, you will be taken to your hotel for resting, where you'll be able to reach to your personal patient care assistant 24/7. Next days, you'll be checked by your surgeon either in the clinic or in the hotel. You'll be staying in the hotel for 3 nights total. Our team will be organizing all your transits and bookings. Then, when you go back to your home, we’ll take you to airport and our team in London office will be closely following you. When will I see the final result after lip lift surgery? The final result will be around 2-4 weeks. Will there be scar after lip lift surgery? Yes, but most of the time unnoticeable.There will be a slight scar just under the nose, where it’s expected to fade over 6 to 12 weeks and continue to mature, improve for up to 12 months. 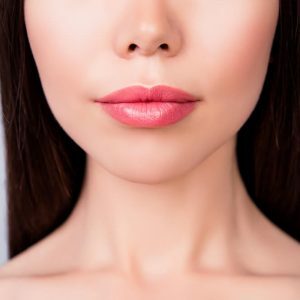 Why should I have lip lift surgery? It’s a special procedure that could be performed with a lower number of surgeons. It creates a more feminine and younger look. What kind of surgeries I can combine with Lip Lift? Some of our patients combine this operation with nose job. Some of them combine with face lift. Please have your consultation with us to learn further. Is there a contra-indications to this operation? You should not have lip lift procedure if you have an active skin disorder on the upper lift area such as infection, cold sore etc. How much is lip lift procedure? Please see our prices page for lip lift cost. Is it painful and will there be bruising? There won’t be pain at the surgery itself and there would be minimum bruising after the procedure. The bruising and swelling should disappear within 7-10 days if there is any.